Always two there are. One brother born to wage the war the other to defend the home. 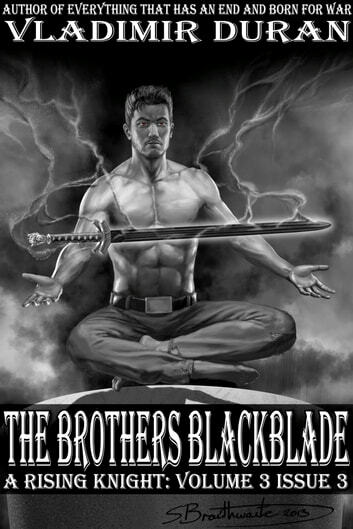 Jackal and Hyena are the prey dogs of the house of the Black Blade and there is more than blood between them. Once they were as close as right hand and left. But that’s no longer true. Now they have to find a way past the pain. Otherwise one of them will end up dead. "Are you truly so stupid, or do you have some deeply ingrained desire for self-destruction?" Jack could feel his brother's furious breath again his face but could not turn away. "He. Will. Break. You. It is what he does to any that stand in the way of what he desires. He will command that it should be so and gaggle of lackeys will leap to the task. They will burn away everything that is you and when they are done, what is left, will be but a puppet for our father. He will sit you on a shelf and pull you out when he wants to make a show of you. That is the fate you buy yourself with this foolishness." Fear thrilled up Jack spine for a moment. He did not doubt his father capable of such a thing. Yet Olga and Vlad were waiting for him. So were the Knights they intended to rescue. He was the one with the information they needed to find them. His fear did not matter. Ultimately, his life did not matter either. A lord was his duty. 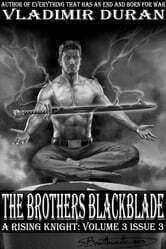 So, however debase his father, Jackal Blackblade still had a duty. "Again, thank you, but I can take care of myself." For what seemed like the thousandth time Jack began turn away from his brother. Stars exploded in his eyes as Hy's fist connected with Jack’s face. The pain heralded by those star wasn't as bad as his shock. No one should have been able to do that to a Knight. Hy followed the first punch with a second but Jack was ready this time. He caught the blow on his forearm. Within the Knight state this wouldn’t have been a contest. But engaging his Knight State would give him away. This would have to be sloppy and dirty. He shot forward and slammed his forehead into his brother's nose, eliciting a cry of pain.